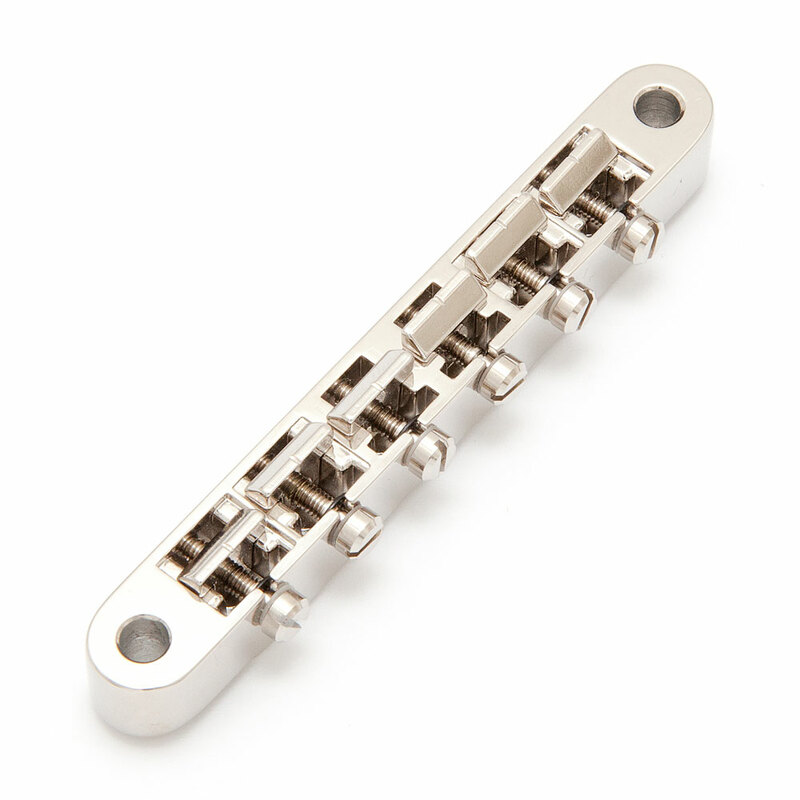 The Faber ABRM-59 Tune-o-matic Bridge is a 50s vintage correct 'no wire' ABR-1 style bridge with the post spacing and hole size to fit most 'import' metric style Tune-o-matic bridges and original Gibson Nashville style bridges (the ABRM will not fit the new larger 5 mm Gibson Nashville or ABR-1 TOM posts). We stock these with brass saddles (both plated and plain brass) and also nylon saddles (to match some select vintage ABR-1 bridges), the saddles have the Gibson 12" radius. The Faber ABRM is designed as an upgrade piece it comes as just the body, bridge posts are not included. If you need to replace a Gibson ABR-1 spec Tune-o-matic we stock the Faber ABRH.